​​​​​​​​​​​​THE problem of vehicles blocking intersections in Guildford is set to be eased with Main Roads WA announcing it is rolling out yellow box line markings to combat the issue. It follows a successful trial across four locations in the city. Main Roads spokesman Dean Roberts said the yellow boxes had been successfully used around the world to discourage drivers from stopping within intersections and blocking other vehicle movements. “The selected intersections in Guildford were observed to have a high number of vehicles stopping within the intersection resulting in other vehicle movements being blocked,” he said. During the trial a yellow box will be painted on the road to show the extent of an intersection and indicate an area where drivers should not stop. Drivers may only enter a yellow box intersection when their exit is clear and there is enough space on the other side of the intersection for their vehicle to clear the box completely without stopping. Mr Roberts said by discouraging intersection blocking, yellow boxes could help to improve traffic flow not just at the intersection but right through a road corridor. 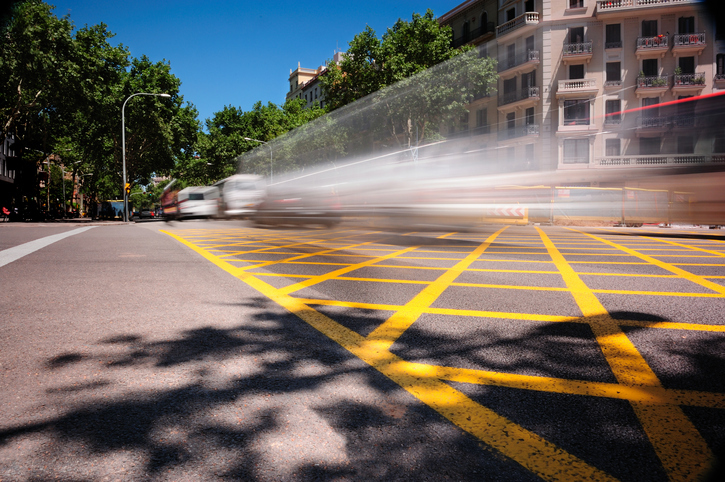 The yellow box line markings will be rolled out at the intersections of James Street and Johnson Street and James Street and Meadow Street in Guildford.